Established in 2006 in response to Europe’s rapidly changing VAT situation, Accordance VAT are an international VAT consultancy and VAT compliance company. Their aim is to enable businesses to trade internationally by taking away the burden of cross-border VAT. They reach across Europe from their UK hub and newly opened office in central Amsterdam. 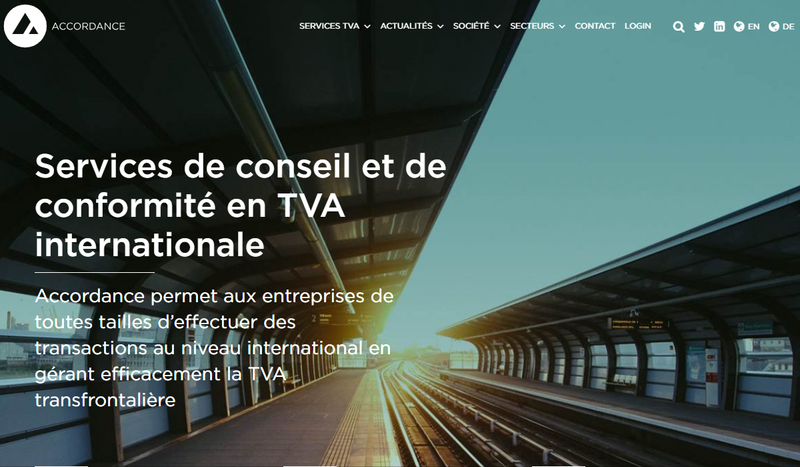 With a strong international focus, Accordance VAT wanted to improve their global user engagement, promote brand awareness and attract new customers across global markets. 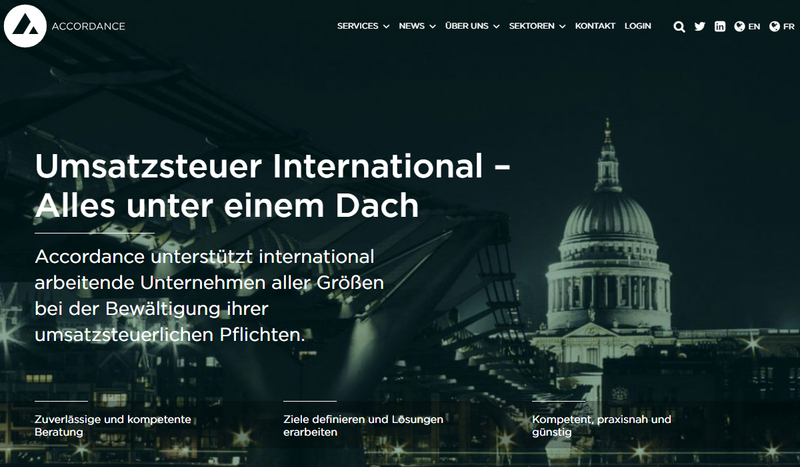 At the same time, they wanted a streamlined, centralised and cost-efficient process that would ultimately ensure consistency across multiple languages for their website, blogs, marketing materials & social media content. Capita’s WordPress connector, part of the SmartMATE technology suite, connects Accordance VAT’s website to Capita’s translation management system (TMS), allowing their team to send content for translation quickly, easily and via a secure system. All translation projects can be requested, monitored and retrieved from Accordance VAT’s WordPress dashboard, allowing for improved visibility of all localised content. Accordance VAT’s projects never leave the secure system, as in-house staff and linguists log onto the same secure, cloud-based system to complete the translation. Consistency across languages is managed through the use of linguistic assets, such as translation memories, glossaries and style guides. These tools contain terms, phrases and brand names specific to Accordance VAT and are applied during the translation process, prompting the translator to use the pre-approved terminology. Translation memories also allow for cost and time savings, as translated phrases are captured and re-used in future projects. Capita TI selected a dedicated panel of linguists from their global network, based on qualifications, specialisms and experience of delivering projects with a similar scope. Linguists from this panel were then allocated to Accordance VAT’s projects as a matter of priority. The centralised approach offered by Capita TI, alongside the use of a CMS translation connector, allowed Accordance VAT to have greater control, flexibility and visibility over their translation projects, whilst also maintaining consistency across languages, and increasing cost-efficiency. By providing digital content in multiple languages, Accordance VAT can continue to communicate and engage with their online audience across the globe quickly, effectively and within budget, resulting in increased website traffic, improved turnaround time and expansion into new markets.